Will Run for Red Velvet | Run, Lindsay, Run! I am actually off work today, taking an extra “rollover” vacation day from 2010 before the end of February. And what a perfect day to take off…it’s 50 degrees outside and I pushed my long run to today to take advantage of the weather and free time. 8 miles total. This run was a bit of a confidence booster because I’ve been doing tempo/speed work around a 6:45 pace, and had originally just planned 2×2 mi segments. I was feeling not-as-bad during my 2nd interval, so pushed to make it 3 miles instead. Must have been the new Lady Gaga song on my ipod 🙂 My legs also felt a bit looser since I did an easy 2.75 mile shakeout in the morning. I find short shakeout runs can help get the blood flowing before a hard effort, and is a good way to bump up mileage. 55 miles has been my highest mileage week so far preparation for the NYC Half-Marathon. Think I’ll get in another week or so around this level and then drop down so my legs feel fresh for race day on March 20th! After all that running, I had a fun food-filled weekend. On Saturday, Dan and I went to go see “No Strings Attached” (so good!) and then headed to Whole Foods to get ingredients and toppings for “Make Your Own Pizza Night” This was such a fun and easy dinner, though my tiny NYC kitchen needed a bit more counter space to accommodate us both. I forgot to take pictures of the actual hot pizzas (did I mention we drank about 2 bottles of wine, too?) so the leftovers have to suffice. 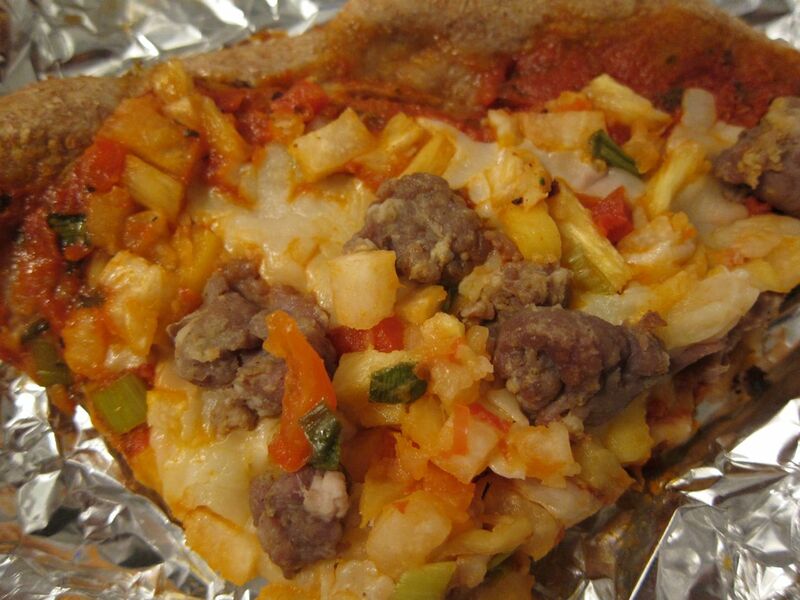 Dan's Pizza: Chorizo and Mango Jicama Salsa! 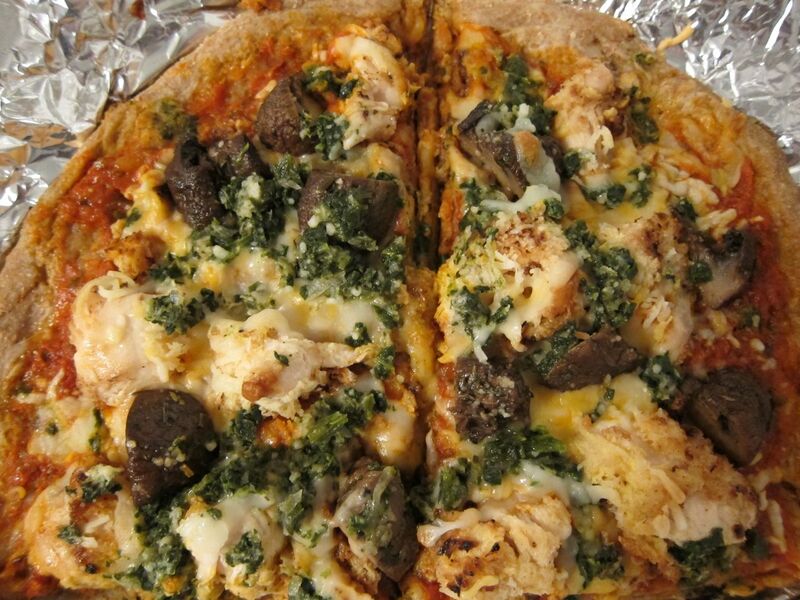 My Pizza: Breaded chicken, herb mushrooms, spinach and onion! This was so easy and fun! We bought whole wheat pizza dough and went to town on the toppings. One big dough ball was more than enough for the two of us, I only ate half of mine and now have leftovers for lunch this week! Yesterday I took advantage of the warmer weather and headed out for an easy 6 mile run. I had an appointment down in Soho so ended up wandering around the Village afterwards, and met up with my friend Dayna for Frozen Yogurt. As much as I love Pinkberry, I LOVE Self-Serve Frozen Yogurt places 1000x more! You can choose between tons of different flavors and toppings and design your own creation. We went to Phileo Yogurt, not as good as my fave 16 Handles or Yogurtland [please come to NYC!] and I had a wild mix of Cupcake Batter / Cheesecake / Lemon Tart yogurt topped with Cheesecake bites, gummy bears, mochi, rainbow sprinkles, skittles, and mango. Random. Delicious! 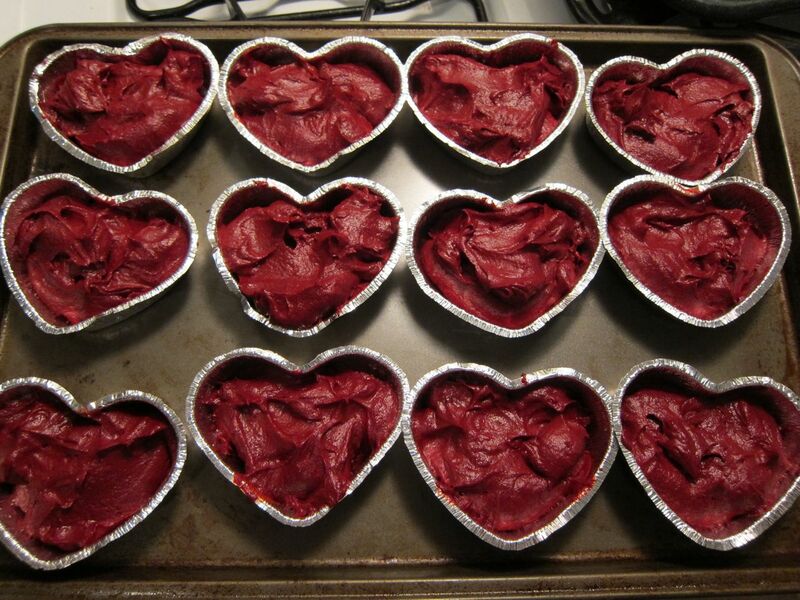 I came home and got started on a bit of Valentine’s Day baking. 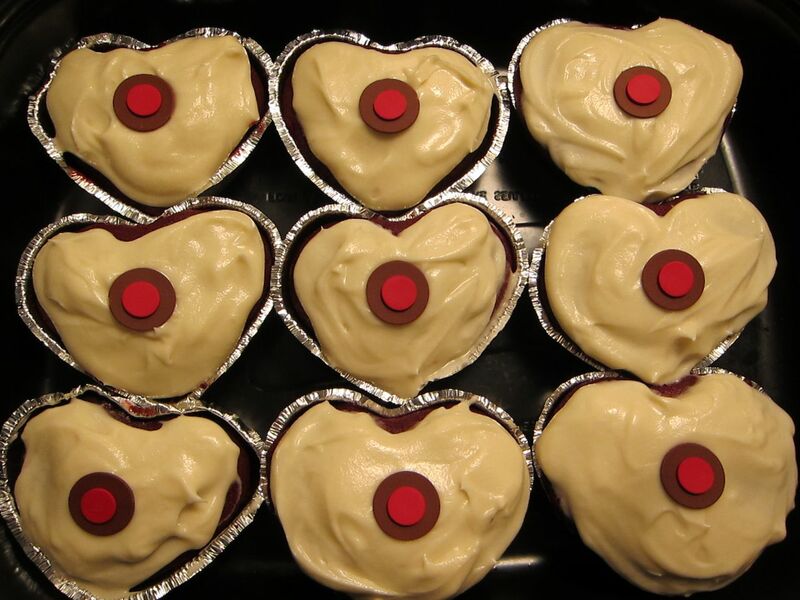 Because what’s Valentine’s Day without heart-shaped desserts? 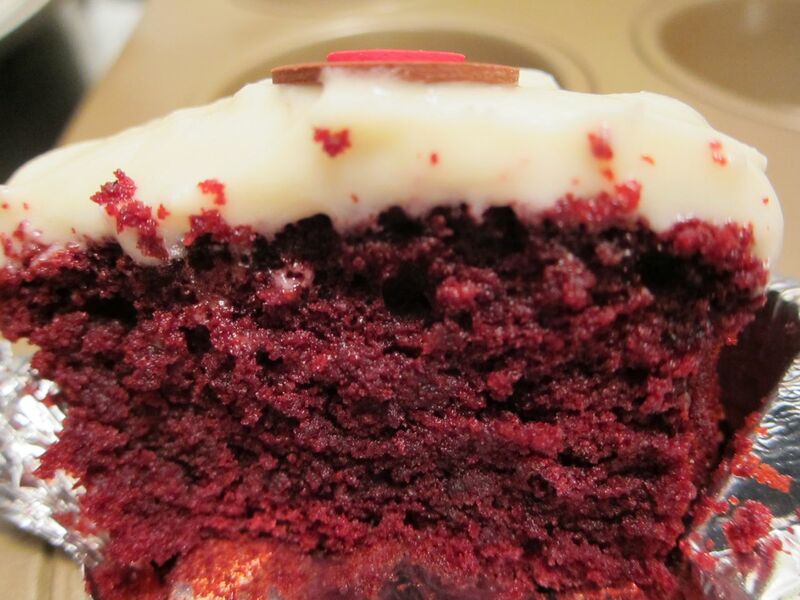 My mom had given me Sprinkles Cupcake mix a while back so I figured I needed to make the red velvet ones! This mix called for mass amounts of butter which I was extremely happy about. 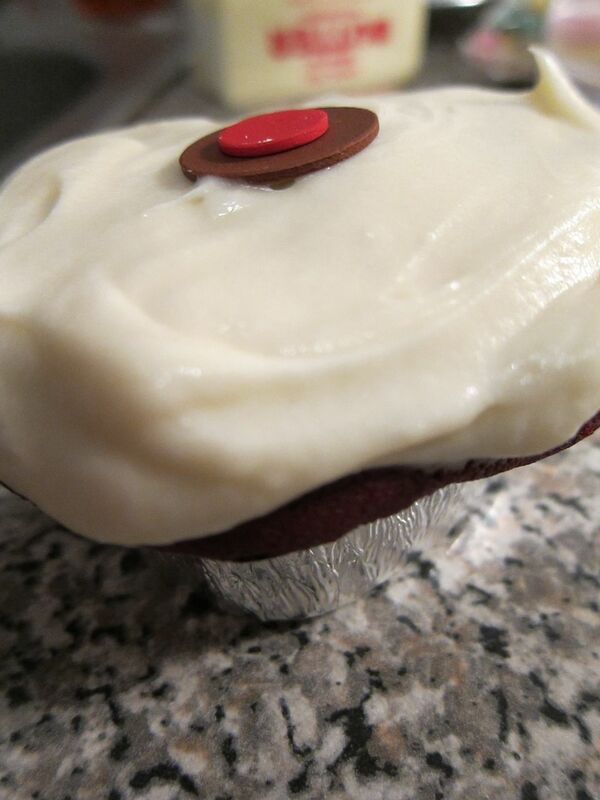 Topped with cream cheese frosting! 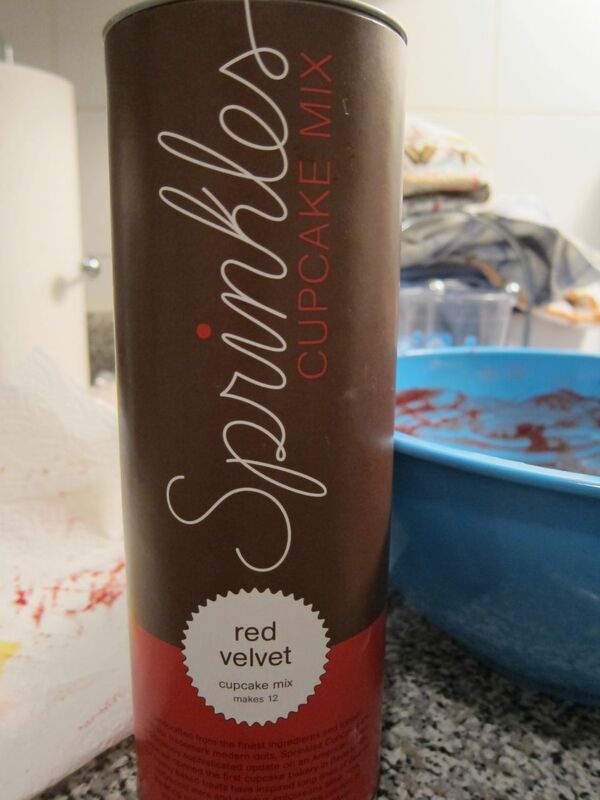 If you’re looking for a cupcake mix, your taste buds will thank you for picking up Sprinkles. These were the most fluffy and moist from-a-mix cupcakes I have ever had. I think you can find them at Williams Sonoma. I also have a tin of the lemon flavor which I think I will make for a wine tasting party I have coming up this Friday. MMM. How are you spending Valentine’s Day? ← Marking the Calendar…Race Time! Heart shaped Spinkles?! I’m in love! Very cute! Great job on your tempo work and happy Valentine’s Day! Cupcakes, froyo, and an awesome long run? Can we please be friends? your posts never fail to make me hungry! Oh my gosh those cupcakes look amazing! So does the pizza, which I had for dinner tonight 🙂 That treadmill tempo run is so impressive – I wish I could hold that kind of pace, especially on the treadmill! Awesome job. Confidence Boosted « Run, Lindsay, Run! Three-Day Weekend Foodie Adventures « Run, Lindsay, Run!